The Leicester Cobras (Registered Charity No. 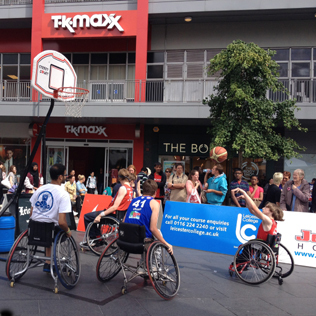 1020100) delivers the sport of wheelchair basketball and social activities for people with and without disabilities. 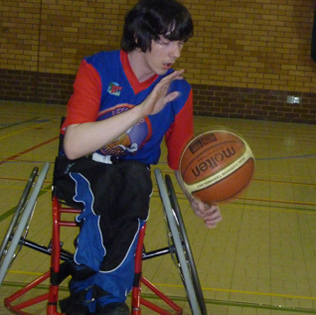 "Our objective is to provide, where possible, the facilities and opportunities that encourage new players into the sport and at the same time to coach experienced players up to the highest competitive levels in wheelchair basketball". 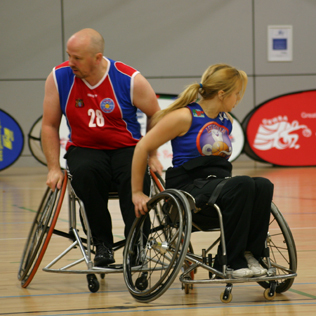 Participating in wheelchair sports is a great way of keeping fit, active and healthy. The club relies to a great extent on donations, sponsorship and grants to fund the required facilities and coaching expertise needed to run the club successfully. The Cobras would greatly appreciate any help that could be given to fulfil this funding necessity. For details of how you can help to support the Leicester Cobras, take a look at the "Support Us", page.